در مطالعه حاضر، اثر اندازه ذرات در مقیاس میکرو و نانو بر سینتیک واکنش پخت کامپوزیت لاستیک استایرن بوتادی‌ان(SBR)/ اکسید روی (ZnO) با استفاده از روش کالریمتری روبشی تفاضلی(DSC) غیر همدما در چهار نرخ حرارت دهی مورد بررسی قرار گرفت. نتایج به دست آمده با هر دو دیدگاه "با استفاده از مدل" و "بدون مدل" مورد آنالیز قرار گرفت و پارامترهای سه گانه سینتیک پخت شامل انرژی فعالسازی، عامل پیش نمایی و توانهای معادله واکنش پخت بدست آمد. نتایج حاصل از روش های اوزاوا، کیسینجر و بورچارت و دانیل اصلاح‌شده نشان داد که انرژی فعالسازی و عامل پیش نمایی واکنش پخت استایرن بوتادی ان رابر/ اکسیدروی در حضور نانو ذرات کاهش می یابد. همچنین نتایج این روشها کاهش بیشتر انرژی فعالسازی با افزایش درصد نانو اکسید روی را نشان داد. علاوه بر این نتایج حاصل از روش هم تبدیل نیز کاهش انرژی فعالسازی درحضور نانو اکسید روی را تایید کرد. این کاهش می توانند مربوط به خاصیت فعال‌کنندگی اکسید‌روی در حضور یک اسید اشباع و ایجاد کمپلکس ناشی از حضور Zn++ و نقش کاتالیزوری اکسیدروی باشد که با کاهش اندازه ذرات اکسید روی و افزایش سطح تماس کارائی آن بیشتر می شود. هم‌چنین نتایج نشان داد که همه مدل های استفاده شده از تطابق خوبی با نتایج تجربی بدست آمده در منحنی های تغییرات نرخ تبدیل با دما برخوردارند و به خوبی می توانند رفتار واکنش پخت را پیش بینی نمایند. In the present study, the effect of particle size in micro and nano scale on curing reaction kinetic of Styrene Butadiene Rubber (SBR)/Zinc oxide (ZnO) composite was investigated using non-isothermal differential scanning calorimetry (DSC) at four heating rate. The experimental results were analyzed by both “model free” and “model fitting” approaches and curing kinetic triplet, i.e., Pre-exponantioal factor [A], activation energy [Ea] and reaction orders [n,m] were determined. The results of Ozawa, Kissinger, Borchard and Daniel modified methods revealed that activation energy and pre-exponantioal factor of the curing reaction of SBR/ZnO decrease in the presence of nano particles. Meanwhile, these results indicated to more decrease in activation energy with increasing of nano-ZnO percent. Similarly, the results of isoconversional method confirmed the activation energy reduction in presesence of ZnO too. This reduction can be attributed to activation properties and catalytic effect of ZnO in presence of a saturation acid by forming a complex that exhibited more efficiency with increasing the surface by decreasing the particle size of zinc oxide. Additionally, a good agreement between experimental data and auto-catalytic model is found for all heating rates and the models can predict the behaviour of curing reaction of this composite. Tavakoli, M., Katbab, A. A., Nazockdast, H.,” Effect of the Compatibilizer Upon the Properties of Styrene-butadiene Rubber Organoclay Nanocomposites”, In Persian, Iranian Journal of Polymer Science and Technology, Vol. 23, No. 1, pp. 65-74, 2012. Zhang, H., Wang, C. and Zhang, Y., “Preparation and properties of styrene-butadiene rubber nanocomposites blended with carbon black-graphene hybrid filler” Journal of Applied Polymer Science, Vol. 132, No. 3, pp. 41309, 2015. Fang, L., et al., “Preparation and properties of Styrene-Butadiene Rubber/Clay nanocomposites by using liquid rubber/clay master batches” Rubber Chemistry and Technology, Vol. 86, No. 1, pp. 96-108, 2013. Ghaffari, M., et al., “Studying the effect of micro-and nano-sized ZnO particles on the curing kinetic of epoxy/polyaminoamide system. Progress in Organic Coatings” Thermochimica acta, Vol. 89, No. 1, pp. 277-283, 2015. Jincheng, W. and C. Yuehui, “Application of nano‐zinc oxide master batch in polybutadiene styrene rubber system”, Journal of applied polymer science, Vol. 101, No. 2, pp. 922-930, 2006. Fernando, S., et al., “Zinc Oxide Nanoparticles as an Activator for Natural Rubber Latex” International Conference on Advanced Materials, Science and Engineering, 2012. Heideman, G., et al., "Influence of zinc oxide during different stages of sulfur vulcanization. Elucidated by model compound studies" Journal of applied polymer science, Vol. 95, No. 6, pp. 1388-1404, 2005. Ghaffari, M. et al. “Evaluation of curing kinetic parameters of an epoxy/polyaminoamide/nano-glassflake system by non-isothermal differential scanning calorimetry” Thermochimica Acta, Vol. 533, No. 1, pp. 10– 15, 2012. Ghaffari, M. et al. “The kinetic analysis of isothermal curing reaction of an epoxy resin-glassflake nanocomposite” Thermochimica Acta, Vol. 549, No. 1, pp. 81– 86, 2012. Vyazovkin, S., et al., “ICTAC Kinetics Committee recommendations for performing kinetic computations on thermal analysis data” Thermochimica acta, Vol. 520, No. 1, pp. 1-19, 2011. 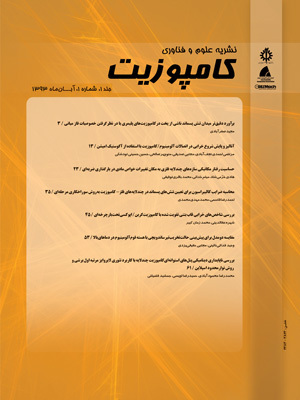 Ghoreyshi, M. M. R. and Asghari, Gh., “Experimental Study of Non-isothermal Curing Kinetics of SBR Compound by Direct Temperature Determination and RPA Machine” , In Persian, Iranian Journal of Polymer Science and Technology, Vol. 20, No. 1, pp. 11-23, 2007. Montserrat, S. and Cima, I., “Isothermal curing of an epoxy resin by alternating differential scanning calorimetry” Thermochimica Acta, Vol. 330, No. 1, pp. 89-200, 1999. Shi, Z., Yu, D. S., Wang, Y. and Xu, R., “Investigation of isothermal curing behaviour during the synthesis of polybenzoxazine-layered silicate nanocomposites via cyclic monomer” European Polymer Journal, Vol. 38, No. 1, pp. 727–733, 2002. Zhou, T., Gu, M., Jin, Y. and Wang, J., “Studying on the curing kinetics of a DGEBA-EMI- 2,4-nano-sized carborundum system with two curing kinetic methods” Polymer, Vol. 46, No. 1, pp. 6174–6181, 2005. Brown, M.E., “Introduction to thermal analysis: techniques and applications” Published by Kluwer Academic Publisher, Vol. 1. 2001: Springer Science & Business Media. Málek, J., “The applicability of Johnson-Mehl-Avrami model in the thermal analysis of the crystallization kinetics of glasses” Thermochimica Acta, Vol. 267, No. 1, pp. 61-73, 1995. Sahoo, S., et al., “Effect of zinc oxide nanoparticles as cure activator on the properties of natural rubber and nitrile rubber” Journal of applied polymer science, Vol. 105, No. 4, pp. 2407-2415, 2007.